Stop everything you are doing and listen to this podcast! Seriously, if you have never met or had the opportunity to listen to Avinash Kaushik you must hear this podcast – I guarantee you will learn something from this podcast. Sometimes you meet someone so passionate about something that it’s contagious and if you listen closely you can hear me firing off emails to my team in the background about what I am hearing and learning on this podcast. I had the opportunity to do a podcast with Avinash to discuss some areas where marketers are doing things right and wrong but all of them are simple but extremely powerful uses of web analytics to make their websites and businesses better on the web. We also took some live Twitter questions as we were doing the podcast. But stop reading this and start listening to Avinash – its 25 minutes long but positively electric! Avinash Kaushik is the author of the recently published book Web Analytics: An Hour A Day. 100% of Avinash’s proceeds from his book are donated to two charities: Doctors Without Borders, The Smile Train. 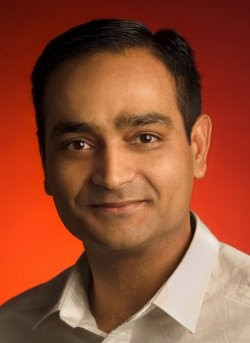 Avinash is also the Analytics Evangelist for Google and a co-founder of Market Motive. He is a frequent speaker at industry conferences in the US and Europe, such as eMetrics, Ad-Tech, iCitizen, and SES. You’ll find Avinash’s web analytics blog, Occam’s Razor. This is a very informative podcast on web analytics even for advanced SEO professionals. – 2000% after 24 hours. – 2000% after 12 hours. – 2000% after 6 hours. – 2000% after 3 hours. Investing with Citrusfinance.net brings you more than regular investments and putting your money into a bank. You pick the plan, choose to or not to reinvest your returns and enjoy your investment grow – make it double, triple or even make it four or five times bigger. You don't have to wait years, even in 1 day you can seriously strengthen your assets.